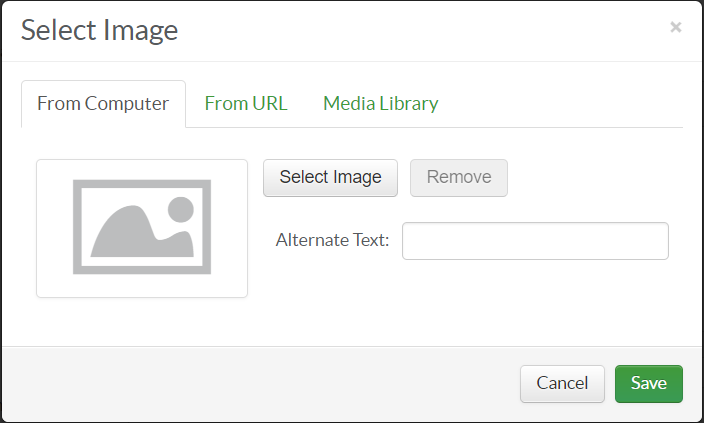 The Image Uploader allows you to upload images to your Media Library for use in your SignUp events and Wandoo Reader programs. You can use an image you have stored on your computer, or a URL for an image you found online. Clicking Select Image will open a window displaying the folders on your computer. Select the image you would like to use and click Save. It is important to note that the Image Uploader will only allow you to upload an image that is less than 500KB in size. Paste the URL of the image into the Image URL field and click Save. The Alternate Text field is not required, but it allows you to add text that will display if the image fails to load, or that will be used for accessibility purposes. We recommend inputting a short description of the image such as "Children reading books" or "Woman on computer". 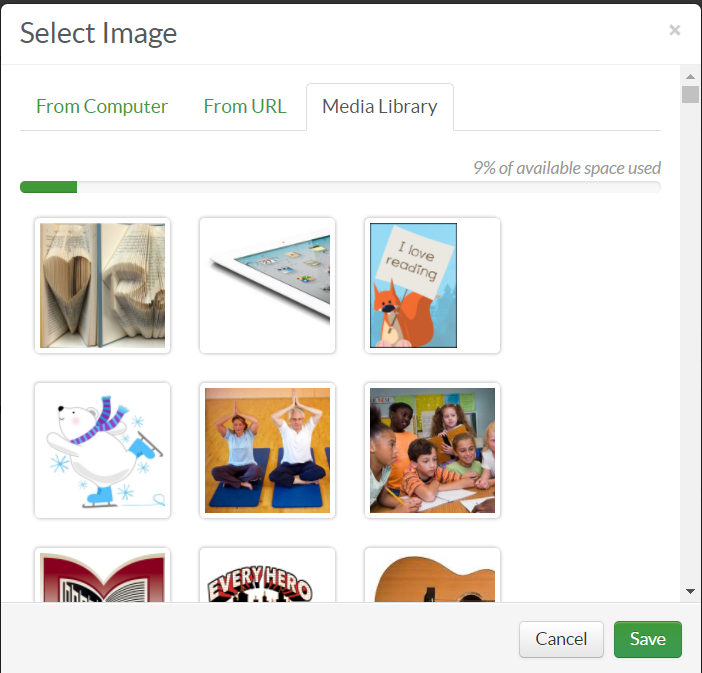 To use an image from the Media Library, click the image of your choice and click Save. Posted - Fri, Aug 11, 2017 at 2:14 PM. This article has been viewed 709 times.